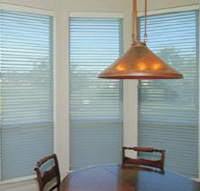 Reduce window glare and protect your furniture from fading by installing window film solar protective glass film. Lots of materials including wood and textiles fade badly after prolonged to exposure to UV, visible light and heat from direct sunlight . Unfortunately, all of these causes pass through ordinary glass and can cause alot of damage to furnishings etc. Conservatory window films carry a range of speciality films to combat fading by filtering out 98% UV, visible light rays and infra-red heat.